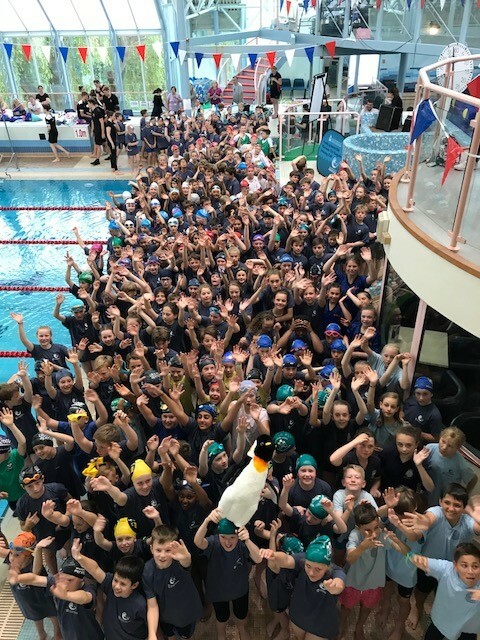 On Friday Penguins hosted the 17th annual Winchester and City Primary School Gala. 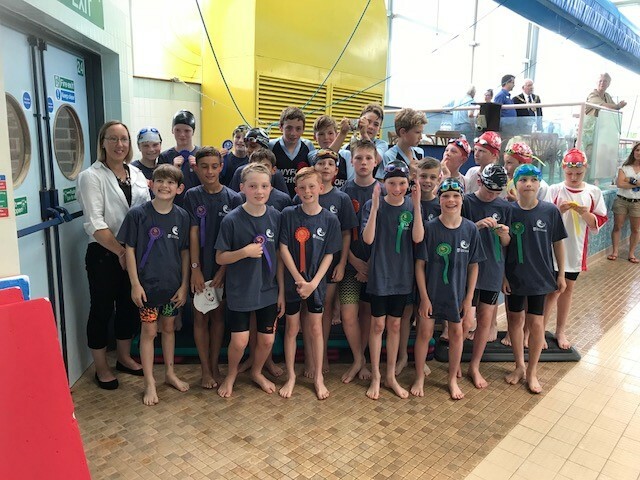 The event, at River Park Leisure Centre, was once again supported by the University of Winchester and Winchester Round Table, with sponsorship from five other local organisations. The entire event focuses on children having fun in the water. 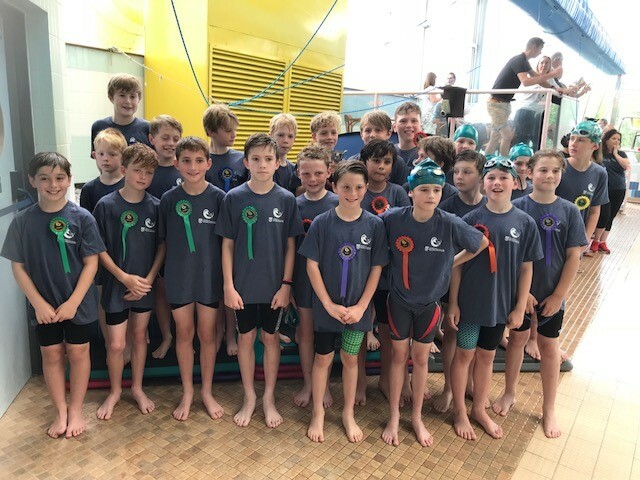 For many this was a new experience and their first taste of competitive swimming, with some 280 Winchester school children from 27 schools showing their talent and enthusiasm.. 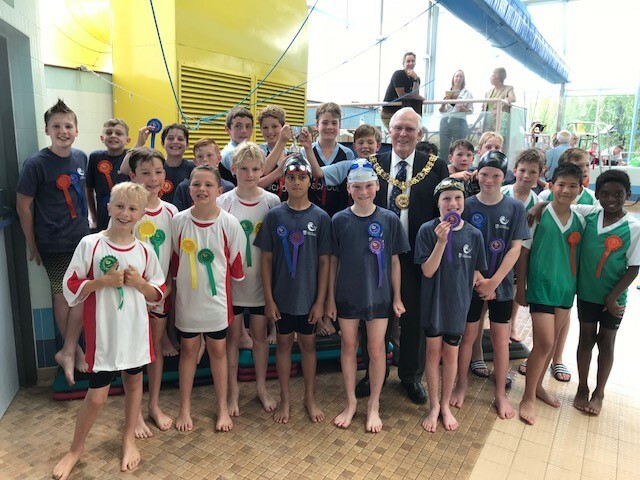 Awards were presented by the Mayor of Winchester Cllr Frank Pearson, Councillor Lisa Griffiths, and Julie Amies from Energise Me along with the sponsors of the event. 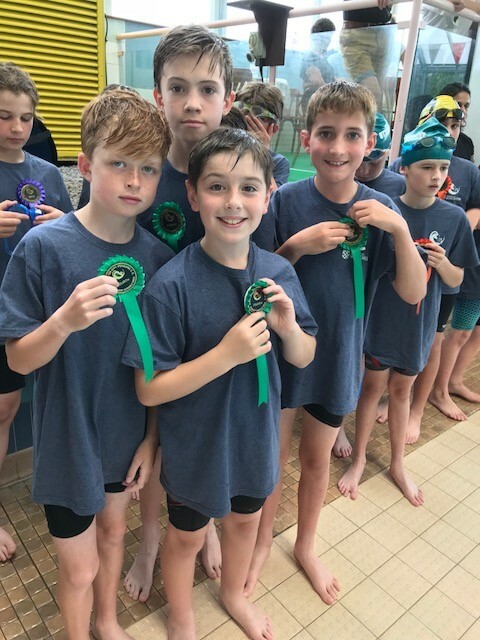 Twyford School won the boys’ freestyle relay and St Swithun’s won the girls’ event for the second year in a row. In the 25m finals, Will Tarmey was in first place for Prince’s Mead and Aleksija Blow won the girls’ event for St Swithun’s. St Bede’s took first place in the boys’ invitation relay final, and Olivers Battery in the girl’s equivalent. 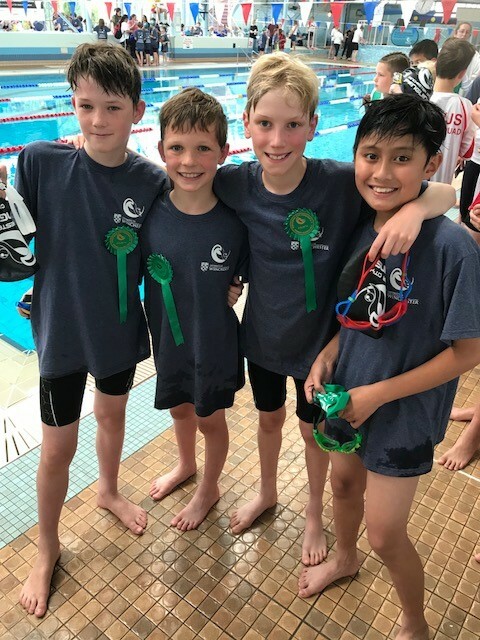 In the mixed stroke relay final Twyford School and St Swithun’s won the boys’ and girls’ events respectively.